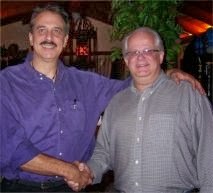 ...Got a phone call from Frank Feschino last week! He had just landed in Los Angeles and was setting up camp at the Hyatt Andaz in West Hollywood. That folks, is the Hollywood hotel where A-list rock stars bed-down and get-down; it's also known as "The Riot House." 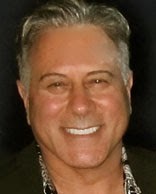 Yes, Feschino was staying at the famed "Riot House" on Sunset Boulevard for three whole, all-expenses-paid, days as a result of an invitation he had accepted to be interviewed for the new, potentially blockbusting, UFO film, 701-The Movie (http://www.701themovie.com/). Yes, after 21-years Frank Feschino, dozens of forgotten Airmen, the townspeople of Flatwoods, WV, and the "Flatwoods Monster" itself, had finally made it to Hollywood, California... ...and was living it up to the tune of 4 and a half stars, too! That's some grand fashion, to say the least! Vindication at last? Perhaps! Now, anyone who's rocked and rolled in the late 1960s and 70s would know this hotel. It was formerly called "The Continental Hyatt House." It was the choice accommodation for rock bands like The Rolling Stones, The Who and Led Zeppelin et sig al. The hotel was nicknamed, "The Riot House" entirely because of the insanely outlandish antics of numerous rock bands... ...most notably the legendary 70s "Kings of Rock," Led Zeppelin. Hey, you weren't anybody until you destroyed a room in that hotel! As for Frank, he'd been an avid Led Zeppelin fan for most of his life! It was an awesome occasion adding real quality to the trip. Frank indeed advised it was the meaningful punctuation for the whole experience. Not only was he to make his debut in a Hollywood film vindicating dozens of brave people and an arduous research, but he was staying at the hotel where John Bonham, the Zeps tireless drummer, raced a roaring motorcycle up and down richly appointed hallways to terrify the straights! Kid's, don't try this at home. Frank shared, "I'd never gotten a chance to meet my favorite drummer, 'Bonzo,' but on several occasions over the years I got to hang out with his son Jason, also a great drummer, during many of his concert tours in and around central Florida." Frank added, "The Andaz employees saw me wearing my Zep T-shirt and told me mindblowing stories about various Zeppelin stays. 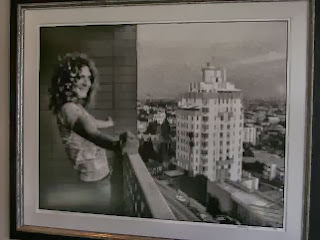 They also directed me to a large, and very famous, photo on the second floor depicting Robert Plant overlooking the city." Frank told me he had his own private driver, too, cruised Sunset Boulevard like a big-shot, and saw a lot of insider Hollywood while in California. The production company was treating him like a king. Frank was interviewed on the second day of his trip by the beautiful Ines Romero, model and actress. He also worked closely with producers James Fox and Tony Cataldo and spent a lot of time talking with famous writer Tracy Torme. Frank said, "These people are among the most dedicated group of persons I've ever met! They take their UFO business very seriously just as you and I do. I felt like I was home and among friends!" 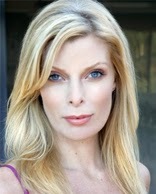 He explained, "The producers were great to work with and they treated me with the utmost respect." 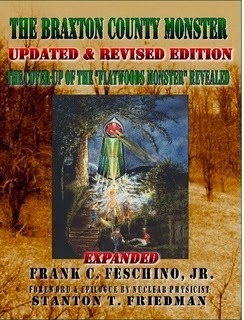 "They wanted to talk to me about the Flatwoods Monster incident... wanting this classic case to be a part of their film; I jumped at the opportunity to be interviewed," Frank said. "We had been talking on the phone for months before my actual interview and when we all met, it was like we had known each other for years." 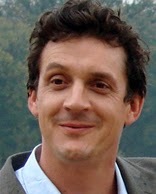 He continued, "Ines was the person assigned the task of reading my book and doing the interview. ...And, you know, yes indeed, she really did read the book, numerous times it turned out...and she retained it all! Obviously brilliant, she must have an eidetic memory, too. Seriously, she knew the fabric of the story as well as I did!" 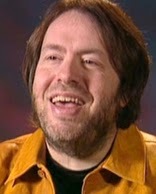 Frank pointed out that his painstaking and exhaustive research approach was much appreciated by the production team. I pointed out to Frank that they had better, you know? See, Frank is able to carry a lot of his "hard" evidence around with him. For this august occasion he'd brought four large spiral-bound notebooks containing copies of his research documents, the complete Sept. 12, 1952 Blue Book case file, many, many photos, and three prints of the professional "Monster" illustrations he'd done himself. When he met everyone on the set for the first time, he opened up his briefcase, showed them everything... ...and they were stunned with regard to its quantity and quality! They were hugely impressed with the Flatwoods case, is my take. They loved the massive amount of material that Frank had brought along to show them and they were floored when he told them that this was only a miniscule fraction of his research. He told Tracy and Ines that he had twenty more spiral-bound notebooks, all chock full of Flatwoods documentation like the ones he'd brought, plus a storage unit at home filled with a library of books! Frank then related that (the stunning!) Ines Romero interviewed him on the set for about 90 minutes before Tracy Torme came in. The men talked for about 30-plus minutes more... overall just over two hours of an exhaustive interview. Feschino went on, "You see, me and A. J. Gaveard, who had been flown in from Brazil," (and who Frank got to hang out with a little,) "were the last two people to be interviewed for the movie. We were their exclamation point, I guess"
He added, "I also met some of the other people interviewed for 701 while I was there, and I was also told about the many, many others who were interviewed before me. I have to say this is the most awesome line-up of persons ever assembled and brought together for a UFO docudrama that I'm aware of. The producers did an unbelievable job and I am proud beyond words to be a part of this film! I have to mention the production Manager Brooke, too. She was absolutely great to work with and my hat is off to her for her expertise in the organizing of it all. It all ticked like a clock"
Finally, I had to ask Frank, How did the interview go... you know, overall, man? What's your feel on the efficacy of the whole exercise... could it possibly be another MonsterQuest? He answered modestly, "Honestly Alfred, the interview I did for this 701 movie, was well, probably the best interview I ever did in my life...and when you see it you will understand... I didn't get the remotest "MonsterQuest" vibe..."
He added, "The MonsterQuest show was an amateur job in comparison to the producers and writers who are handling 701-The Movie. From the beginning, I told the 701 people how disgusted I was with the execution of the MonsterQuest episode. After the MonsterQuest shoot in West Virginia, I was completely in the dark, never contacted again and totally unaware of how the show was going to be edited. I didn't see the show until it actually aired. They never even showed the actual 'Flatwoods Monster' in the reenactment segment of the encounter on the farm! That was bad. Unlike the MonsterQuest producers, the 701 people in California are keeping in constant touch with me and working with me every step of the way! Yes, we are all on the same page about portraying the Flatwoods incident correctly! They want to get it right as much as I do!" Closing, Feschino is working very closely with the 701 producers on an accurate reenactment of the whole "Flatwoods Monster" encounter... It's in the works! Stay tuned! 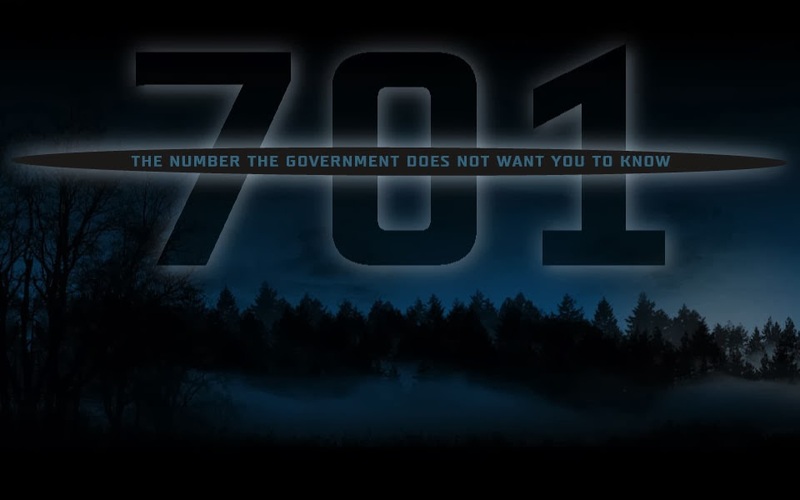 Oh, ...701? 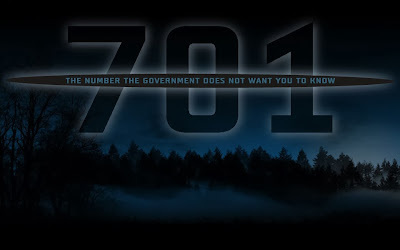 701, reader, is the number of "unknown" cases, read: most compelling ones, in the Official Blue Book Military UFO files, files figuring heavily into Frank's research. Read on.